During lunch today, I saw Batman riding on the Bat Bike and a witch chasing her tall pointed black hat down the street. She had a green face! I updated my web site a bit, but it needs a good Saturday morning of changes. There is a recent photo of Joseph on the Joseph pictures link and one of him and I on the homepage. Today is All Saints Eve, known popularly as Halloween. There will be a full moon tonight, the first time in 46 years. Supposedly it will be an orangish moon that will resemble a jack-o-latern, and there is one story that links this orangish moon with the origin of the jack-o-laterns. I overheard this from the janitor this morning, as he was perched precariously overhead fixing a broken light fixture. According to his brother, who is an avid squirrel hunter, we are going to have a bad winter. This information is based on the fact that his brother says, the hides of the squirrels that he's shot so far this year are tougher than he has ever seen. We'll see if this bears out. He also is talking about someone who is mentally ill and violent, but I'm not sure if he is still talking about his brother or someone else. The Messenger, the Catholic newspaper for the Diocese of Covington, KY is the first newspaper to publish my recent CNS review. My football picks weren't the greatest but all the right teams won. My talk went well, although I tried to cover way to much material for the time allotted. I think I just had too much bottled up inside of me so that when I began talking I was letting it all come out: temptation, the devil, our mission in life, God, the side roads that life can take us on, etc. One of the stranger stories over the weekend involves "therapy dogs" brought to the memorial service for the victims of the WTC. Lucianne.com has a photo here. Somehow if I had suffered the incredible loss that these people have, I doubt I would appreciate the presence of some counselor presenting me with a slobering poodle. I think it just goes to show how little counselers can cope with grief themselves. Ohio State -6, S. Carolina +7, Mississippi +7 and Florida +17, also Iowa +6 and Maryland +7. Amy and I are both speaking at different times today at Spiritfest. I'm speaking on Discernment of Spirits with a special concentration on fear and anxiety. It is snowing here this morning. Not your blizzard variety, but more the spitting snow fluries type. Nonetheless a harbinger of things to come and still October. Time changes just about everywhere this Sunday but here. Although are clocks will not be manipulated in anyway on Sunday we will notice the change since we will no longer be on Central time but on Eastern. I prefer Central by the way. Here is a site with the mother lode of images relating to the current war and events of the past month. Some of the stuff is graphic and obviously not for children. I found the words to one of my favorite poems online today. It is by G. Stuttart Kennedy and it was written around World War II, I believe. I also believe the original title was "When Jesus Came to Birmingham" referring to the Birmingham in England not Alabama. They hung Him on a tree. They only passed Him by. For men had grown more tender. They wouldn’t cause Him pain. That soaked Him through and through. Without a soul to see. I learned about this site from Josh Quittner's column in Time Magazine. It is called Strategic Forecasting and includes an accurate assessment of what is going on or went on yesterday. Do you ever get the notion that we are not getting all of the news anymore? There have been two rather curious incidents involving crop dusting planes in the past week that have not made any news on the cable news networks. One involved a barge and pleasure craft and another involves a coast guard base. I heard Andrea Mitchell say that the government is trying to downplay all of the attacks that are much more widespread than anyone cares to say, but shouldn't reporters be reporting it? Talk about change. Today the temperature outside is 73 degrees. Tomorrow the high is supposed to be 47 degrees and by Saturday the high will only reach 37 degrees. Right now we are under a severe storm watch, because the temperature doesn't change that drastically without some violence. A few minutes ago I was booted from weather.com because it said millions were trying to view the site. So we take a break from the anxiety of anthrax and terrorist bombings to fear the ever present threat that nature presents to humanity. The Spirit Daily site continues to come up with a new visionary or mystic almost everyday that has predicted World War III or an attack on New York or in the case of Eileen George (today's mystic) both. I've noticed that our weather is calling for snow this Saturday. It is a balmy 61 degrees today! The annual Keene Pumpkin Festival is this upcoming weekend. Last year they had over 23, 727 jack-o-laterns there. They are hoping ot break the record this year. I was born in Keene and grew up in nearby Winchester and was made aware of the festival (which began in 1991) when I saw a piece on it last year on CNN. The population of Keene is 25,000 so it could happen this year that there will be more pumpkins than people there! Last night Joseph (my son) made his first internet video appearance so that his grandparents could see how much he has grown. Using Yahoo Messenger which is very usable and highly recommended, my parents were able to see and talk to Joseph. For his part he was a bit confused as to why voices were coming out of the computer and never did quite figure out what was going on. You may notice that almost all of my pro-picks (see below) were incorrect. Oh well, you can't win them all. There are several new rumors posted at snopes.com including one that they claim is true about someone (who looks like they could be from the Middle East) buying over $35,000.00 in candy. Evidently since snopes.com claims this is true, the FBI is investigating the story. It also says that the man used a fake card and paid in cash. This is the latest in a number of terror related Halloween stories. If you go to the site, click on Rumors of War . I was a winner on Saturday! Check out my college picks they were all correct! Okay, here they are my weekly football picks. First I like Fresno State to get beat this week, actually I'd like all of the unbeaten college teams to get beat, but I'm fairly confident that Fresno State will lose even though they are highly favored. Why? Because I watched the end of the game last night--Friday Night Football (that isn't high school)! For Saturday...Tennessee by 1, LSU by 2, Illinois by 4 and Iowa by 10. For Sunday...Denver by 3, Kansas City by 3, NY Giants by 3 and Detroit to cover 7 and the game to be under 36 points. Bonus pick---Sterling Marlin wins the NASCAR race. You may have heard about Publishers Clearing House having a new promotion where they are sending out samples of soap powder, talk about bad timing. Speaking of Clearing Houses, check out the picture of the Terrorist Clearing House here. Grab a hold of that fistful of rain "
The mighty Jaguars looked mighty bad last night, I guess there window of opportunity has been slammed shut. I doubt Tom Coughlin will be back next year, and I'm sure they will clean house at the end of the season. Still no word on what the white powder discovered here was. It has been sent to some lab and we should know by the end of the day. No one seems to think that it is anything but foot powder or the like. There are some pertinent images, some funny others more serious posted at the following sites: Statue of Liberty holding a gun and America as a child here, a poster comparing the Bin Laden to O.J. here, an image of Bin Laden relaxing at home while a storm is brewing outside here, a pig fighter jet here, and finally a preview of the 2002 Chrysler New Yorker here. All are posted on The Pat White Show pages. Pat White is local Ft. Wayne radio talk show host. There was a huge solar flare eruption earlier this morning, which may lead to quite a show in the sky tonight. Read all about the eruption and the rest of the weather up there in space here. The weather here is mild today, although if I was still in Florida today would be rather cold. It is all a matter of perspective. If you haven't seen it yet, there is a picture and story of the photograph of the "devil's face" that seems to have appeared in the smoke of the World Trade Center as it was burning. Worth a look. We now officially share in the anthrax paranoia here. Yesterday, while I was at a different location on retreat, they discovered a white powder on the floor of one of the bathrooms. Several employees were taken to the doctor and we'll find out later today exactly what the powder was (my guess is soap). What struck me on retreat yesterday? Stolen blessings--like the one Jacob received from Isaac that should have gone to Esau. I'll have to spend some time figuring out why, but I think I know. Frost is covering the ground here this morning...and we had a rank of wood delivered yesterday (some say "rick", I say "rank"). The lawn is covered with leaves even though our trees both in front and in back of the house still have very green leaves. But leaves blow where they will. I'm on retreat today with the rest of the staff at work. We are having it at a large convent that although not abandoned yet, is surrounded by gravestones. The order was once a vibrant community that for the most part taught in schools in the southwest. Now it is hard to figure out what they do, (I've asked them before and been met with blank stares). Perhaps that is the purpose of the retreat for us too. To figure out what it is that we are doing. Some people have a real sense of mission in their lives but most do not--unless making money is a mission. Having a mission gives meaning and purpose to life. Our mission is seldom what we think it is at the start but it seems that our original inklings are often a hint of what it is to be. I am now writing book reviews for the Catholic News Service which is a syndication service. Check out your local Catholic newspaper in the near future and you should find them. The Feast of St. Luke (who wrote my favorite Gospel and the Acts of the Apostles) is this Thursday. A story out today says that they think that his relics in Padua, Italy are in fact truly his. For those of you who are joining the paranoia of the present moment and want to check out whether the latest rumor is true or not, I recommend checking out the Urban Legends Reference page and clicking on Rumors of War. It is updated daily and sometimes it has actually added to my paranoia by alerting me to true rumors that I wasn't even aware of until reading about it there. For those who want to increase their paranoia check out the Debka page. Here you will find that not only is India attacking Pakistan, but Russia is getting ready to invade Kabul, and China is massing it's troops to the north. All setting the stage for World War (the last, it's all over, III). For those of you who would like a more spiritual paranoia check out the Spirit Daily page. Here you will find that everything that has happened was predicted by several mystics and that there are even worst things on the horizon. A caveat to this, which I think is on there page somewhere is the disappointing Third Secret of Fatima. You may recall that when the Vatican released it they said that referred to events in the past. The pope walking with halting step, half trembling through the ruins of a big city, half in ruins and coming to a cross and then he is shot with bullets and arrows. Looking at the ruins of the World Trade Center and the steel cross in the midst called to mind the secret. Also of course the pope's current state seems to mimic the details of the secret. One wonders if the pope will die a natural death or he too will be the victim of a terrorist? This story seems indicates that he is high on their list of targets. I have finally finished the rough draft of Praying in the Presence of the Lord with Fulton J. Sheen which will be released in March 2002. I finished going through the book at a Eucharistic Adoration chapel that is in an abandoned convent at our parish. Since the purpose of the book is to accompany prayer, I felt that I needed to be in the right environment. Two reflections on the experience. First, I am very happy with my contributions to the book as well as my editorial choices in what I have drawn from Bishop Sheen's writings. The book is a mix of his thought and my commentary upon it. Reading through the book in the presence of Our Lord I left the chapel with a deep sense of peace. Secondly, although some of the material was written by Bishop Sheen over 70 years ago it is amazing how relevant it is to the present hour. 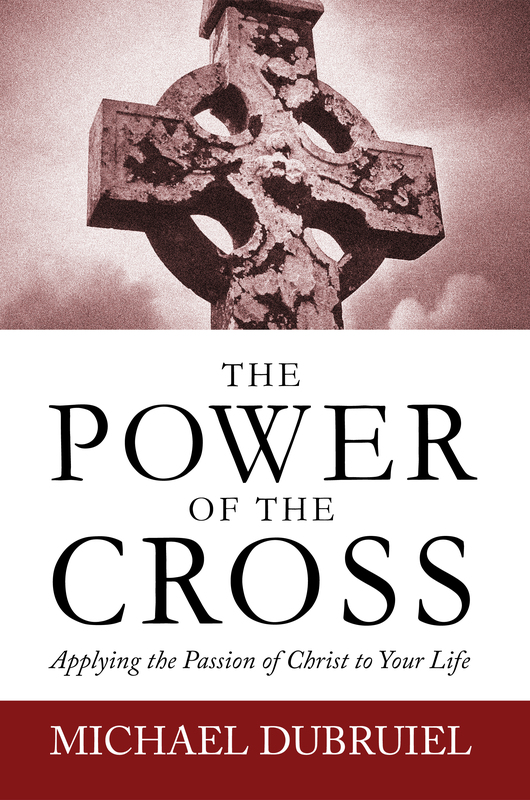 I think the book will do a lot to introducing Bishop Sheen to a whole new crowd of admirers. If you don't know much about him, I would suggest visiting the site that is dedictated to a preliminary investigation into his life to examine the possibility of his canonization at the Friends of Archbishop Sheen site. I also hightly recommend a new biography on Bishop Sheen written by Thomas Reeves that is great. Now I have to get to work on a book on the Mass that I am writing that will be out next September.